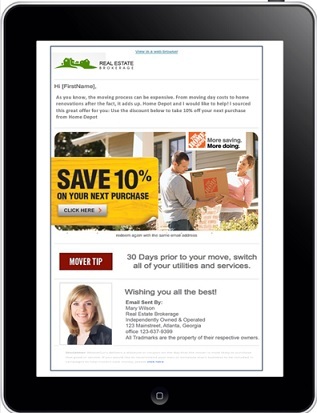 Roswell, GA, June 29th, 2018 – (RealEstateRama) — zipLogix™ in concert with MooveGuru™ released a notification today to zipForm® Plus users informing them of a new program that invites home buyers and sellers to save 10% or more on moving expenses. The program was launched though an integration between zipForm® Plus and the MooveGuru platform. As consumers go through the stages of completing a transaction in zipForm® Plus, MooveGuru allows the agent to enroll their clients in the service that extends valuable discounts to the consumer. As consumers go through the home buying or selling transaction, MooveGuru enables the agent to extend valuable discounts to the consumer through the MooveGuru service. The MooveGuru service was inspired by University of Colorado research, indicating that the average buyer/seller pays about $10,000 on move related products and services. Moving service companies have indicated that a major cost of their product is the ability to find customers who are moving. “Agents representing home buyers and sellers know when a customer is moving, and leveraging that information, they are in a great position to negotiate savings for their client,” says Scott Oakley, of MooveGuru. The partnership between zipLogix™ and MooveGuru creates savings that are passed on to the consumer through their agent. Over the past two years, MooveGuru has been piloting programs through more than 10,000 agents that match movers to service providers who offer everything from home insurance to home improvements. “We are able to send the right discount to the consumer at the right time in the transaction though our partnership with zipLogix™,” says Oakley. “It’s important real estate professionals are equipped with the knowledge and tools needed to deliver the best possible client experience,” says Scott Strong, Chief Executive Officer at zipLogix™. In addition to providing their clients with a seamless transaction process, helping those clients save time and money on costly move-related expenses will help solidify future business and their image as an industry expert. Through the invitation process, agents may enroll their clients in the service one customer at a time or automatically enroll their clients though each transaction. Application 2.png“The adoption rates by consumers have been extraordinary,” says Scott Oakley. The offers are branded to the broker and agent when they are sent out to their client. “The open rates are unusually high because movers depend on their trusted advisor — their real estate agent — for help during the move.” MooveGuru uses a thoughtful artificial intelligence engine to deliver the right offer at the right moment in the moving process that estimates when a client will need a service and delivers the discount at just the right time. Roswell, Ga..-based MooveGuru, In 2016, MooveGuru Inc. launched a free mover engagement program to real estate agents and brokers with the idea to connect home buyers and sellers to savings on moving services. Using just-in-time delivery through artificial intelligence algorithms, MooveGuru Inc. ensures consumers receive agent-branded savings from national and local retailers as they step through the relocation process. Today, more than 10,000 agents representing 240,000 movers are connected to the platform. Fraser, Mich.-based zipLogix™, creators of zipForm® is a technology company created by and owned by REALTOR® Associations, working to improve productivity and efficiency industry wide. Its transaction management software, which includes zipForm® Plus, zipTMS®, and zipVault® automates and simplifies the repetitive and complex steps of real estate transaction. zipLogix™ is also the provider of the National Association of REALTORS® (NAR) Transaction Management Benefit, available to more than 1.3 million REALTORS® nationwide.